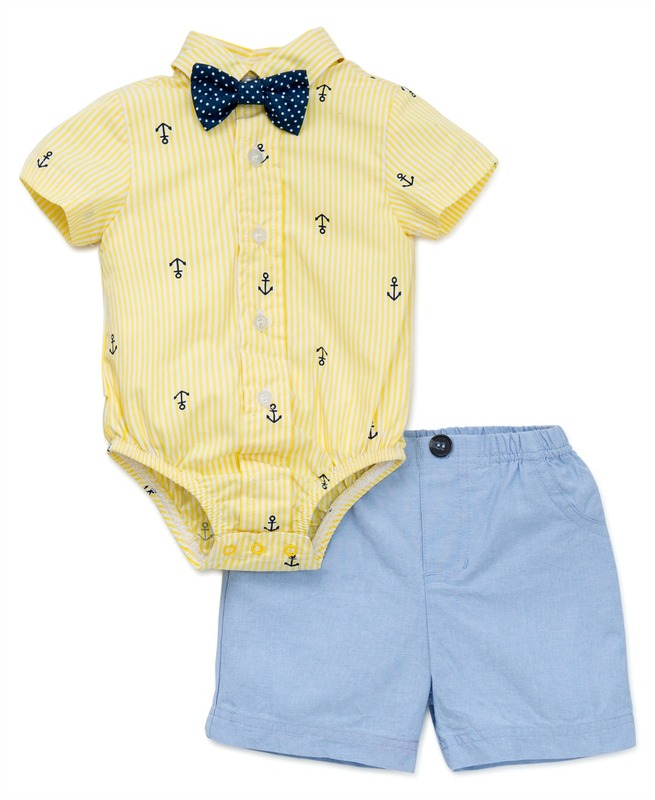 Little Me Baby Boys Handsome blue shorts, short sleeve bodysuit shirt and matching bow tie. Perfect for Easter, services, weddings or any special occasion. Machine wash.